Tapered Roller Bearings suit industrial applications. Available with 8-84 in. outside diameters, DuraSpexx(TM) Power Rating Series bearings can replace standard bearings without redesigning space. Featuring 23% rating increase over company's standard product, calculated bearing life is doubled. CANTON, Ohio, Dec. 2 /PRNewswire-FirstCall/ -- The Timken Company today introduced its Timken(R) DuraSpexx(TM) Power Rating Series bearings, a new line of tapered roller bearings designed to enhance performance in demanding industrial applications. The Power Rating Series features a 23 percent rating increase over standard Timken product and, as a result, doubles calculated bearing life. A bearing's rating is one of the few design factors that can have a significant impact on the fatigue life of the bearing. Generally speaking, the higher the bearing rating, the more speed and torque equipment can handle. "The Power Rating Series culminates decades of design enhancements and manufacturing advancements," said Chris Coughlin, vice president - process industries. "We've leveraged Timken technology so that equipment designers can receive a competitive advantage by increasing service life while maintenance engineers can potentially lengthen service intervals and, thus, lower overall costs." "The bearing enhancements we have implemented into the Power Rating Series provide the industrial marketplace with a newfound flexibility," said Roger Knudsen, vice president - industrial engineering. "It's a concept that we refer to as power density. Smaller bearings can handle the same load as what was originally specified or a designer can pack more load-carrying capability into an existing envelope. So, in this case, an added benefit is the new bearing can easily replace standard bearings without redesigning the space." The Power Rating Series is an extension of the Timken DuraSpexx bearing family, offering customers with challenging industrial applications tremendous versatility when additional bearing life is desired. Now, bearing specifiers either can select a Power Rating Series bearing out of a catalog and calculate two times life or can work with a Timken representative to determine if additional enhancements are needed to create up to a four times life improvement. DuraSpexx bearings are rooted in Timken's long-standing tradition of quality and engineering expertise by employing special coatings and finishes, altering geometries, and instituting quality manufacturing processes. Increases in bearing fatigue life have been verified by extensive testing and field experience. 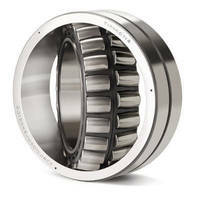 Available in eight to eighty-four inch outside diameter, the Timken DuraSpexx Power Rating Series bearings have an established list of part numbers. For more information, contact your Timken sales contact, authorized Timken distributor or visit www.timken.com. 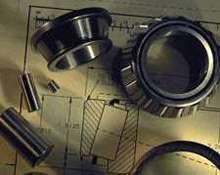 The Timken Company (NYSE: TKR) ( www.timken.com ) is a leading international manufacturer of highly engineered bearings, alloy and specialty steels and components, as well as a provider of related products and services. With operations in 24 countries, the company employs about 18,100 people worldwide and recorded 2001 sales of U.S. $2.4 billion.